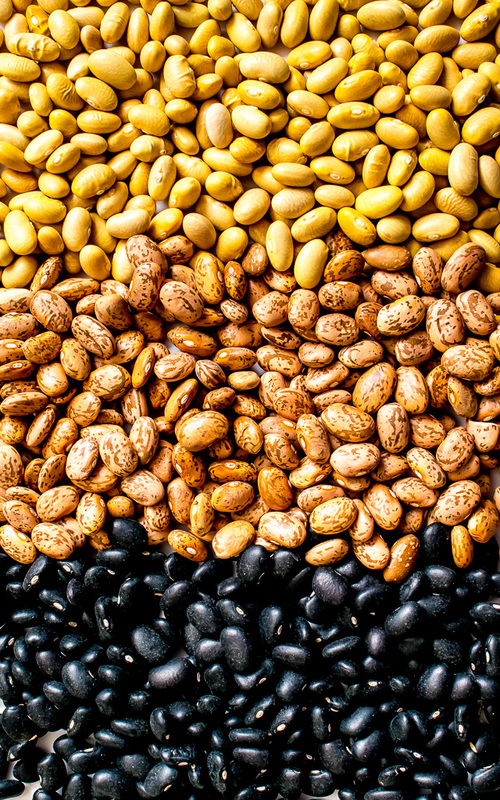 Beans are on the shortlist of nominees to become the Official Ambassador of Mexican Cuisine. And it’s a well-deserved nomination at that. 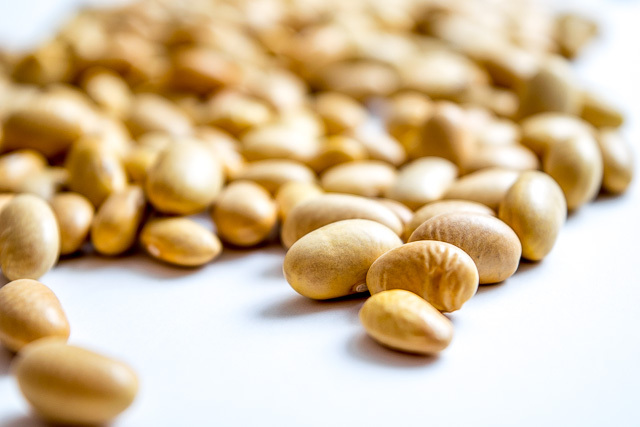 These nutritional powerhouses are loaded in protein and fiber, and they’ve been a staple in Mexican cooking since the beginning. They also taste better when you make them at home, and once you see how easy it is to keep a stocked fridge of beans you might never go back to buying them in a can. 27 Mexican Recipes all from this simple, inexpensive pantry list. 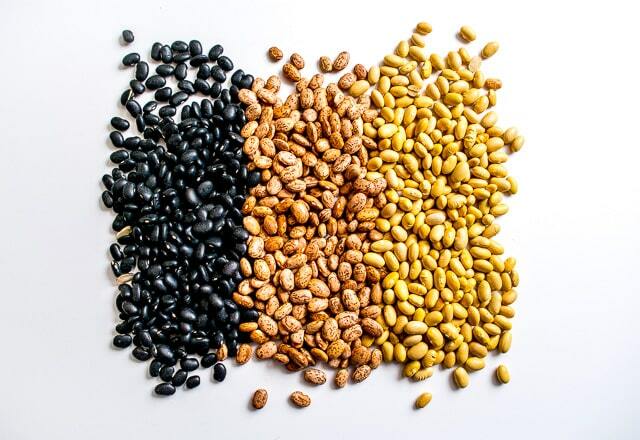 You’re probably familiar with black and pinto beans as these have carved out a permanent home next to entrees in Mexican restaurants around the world. 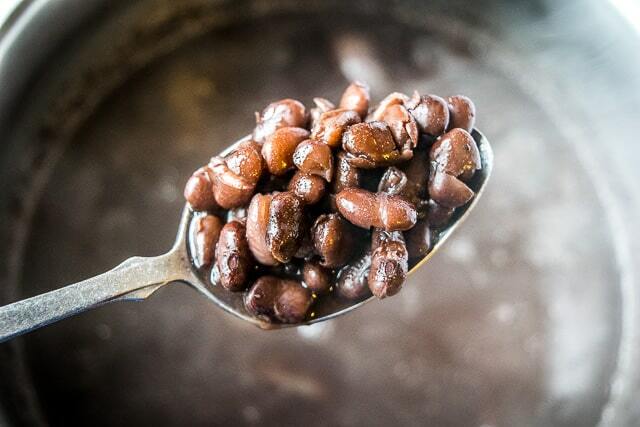 The quintessential Frijoles de Olla is a pound of beans simmering in a pot over a lazy afternoon. Onion is the most common addition to the pot. Less common is adding lard to the mix. Lard has been having an identity crisis over the past few decades as it has slowly fallen out of favor in most kitchens, and it’s becoming less common in Frijoles de Olla as well. Making a pot of beans with just onion and water is still going to produce beans that will taste better than canned beans, but I think adding a bit of lard at the beginning makes them taste even better. Start by rifling through 2 cups of dry beans. Pick out any rocks or shriveled beans and discard them. Give the beans a rinse and drain well. 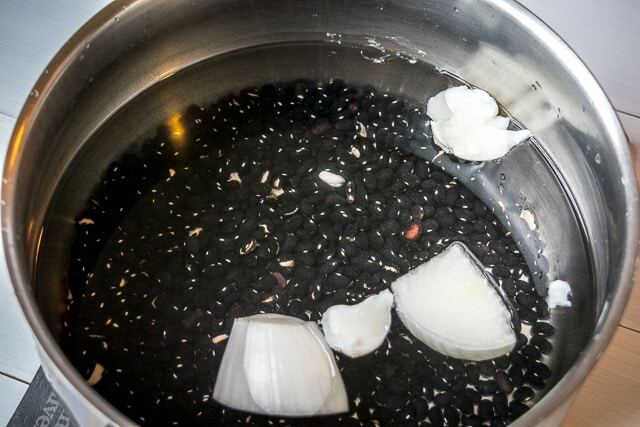 Add beans to a pot along with 1 small onion roughly chopped and 1-2 tablespoons of lard. Cover with enough water so that there is approximately 2″ of water above the beans. For this pot that was around 12 cups of water. Bring to a boil and then let simmer, partially covered, for the next 1.5-2 hours. Beans need time. But luckily they aren’t too picky about when they are done cooking. Start taking bites of them after 1 1/2 hours. If they are still hard or grainy they need a little more time. That is after about 2 hours of simmering. Add 1 teaspoon of salt and let simmer for a bit longer, another 10-15 minutes. Taste, and add more salt if you want. And that’s it, hola Frijoles de Olla! These will keep in the fridge for a few days, but not much longer. Luckily though they freeze really well, making it easy to stock individual sized portions in the freezer. The broth is delicious and makes it easy to control the consistency of your soon-to-be epic refried beans. This batch made six 1-cup portions that will last in the freezer for months. 2 cups of dried beans costs about $1 in these parts. This will make 6-7 cups of cooked beans. A typical 15 oz. can of beans is $1.50 and has just under 2 cups of beans inside. So homemade beans cost 15 cents a cup, store-bought costs 75 cents a cup. Just one of the many reasons that makes Beans Beans Beans a strong favorite for the Ambassadorship. A pot of homemade beans not only tastes better than canned beans, but they can also be stored in the freezer for months at a time. 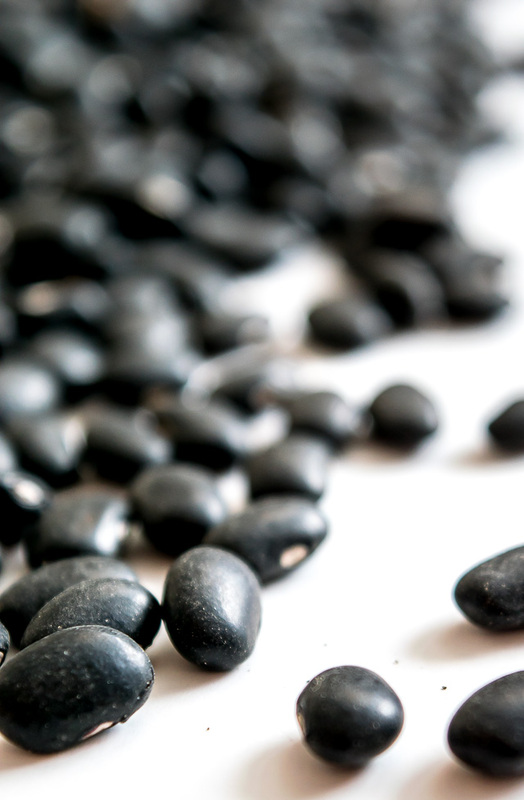 Sort through the beans and discard any rocks or shriveled beans. Rinse the beans and drain well. 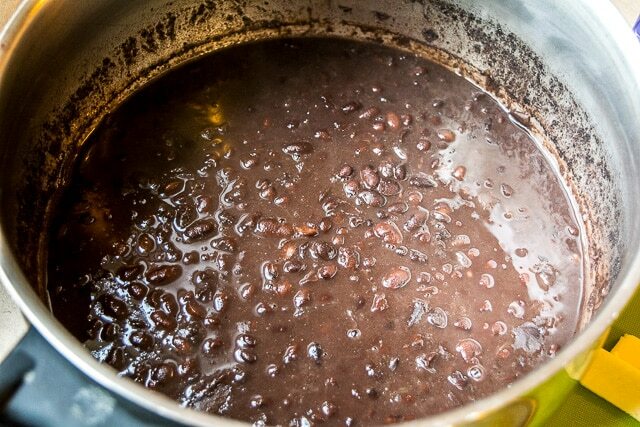 Add beans to a pot and cover with 10-12 cups of water, or so the water level is 2" above the beans. Add the roughly chopped onion and 1-2 tablespoons of lard (lard is optional). Bring to a boil. Reduce heat to a simmer and partially cover. Let simmer for 1.5-2 hours. 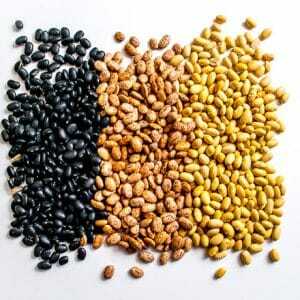 Ensure that the water level is well above the beans by adding more water if you need to. Start tasting them after 1 1/2 hours. If they are hard or grainy they need a little more time. Once done add 1 teaspoon of salt and simmer for another 10-15 minutes. Salt to taste and add more if necessary. 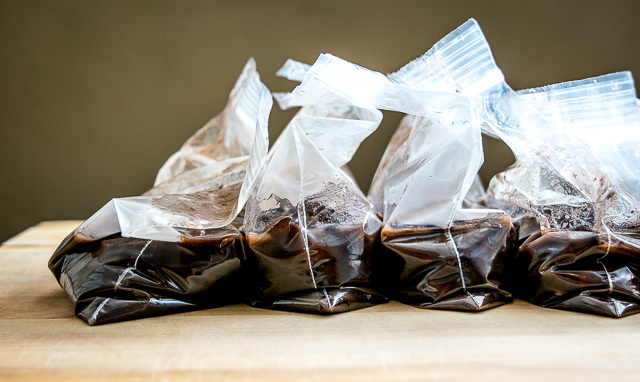 If you want, portion into 1 cup sized bags (or jars). Include plenty of the broth in the portion bags. These will keep in the freezer for months at a time. While traditional Frijoles de Olla are made in a clay pot, any modern pot will make beans that surpass store-bought beans. Got your beans on hand? 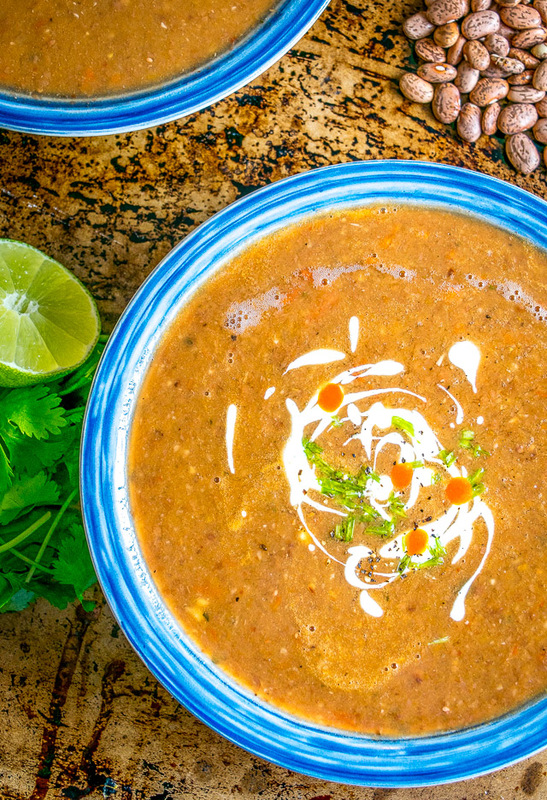 Try our Pinto Bean Soup. 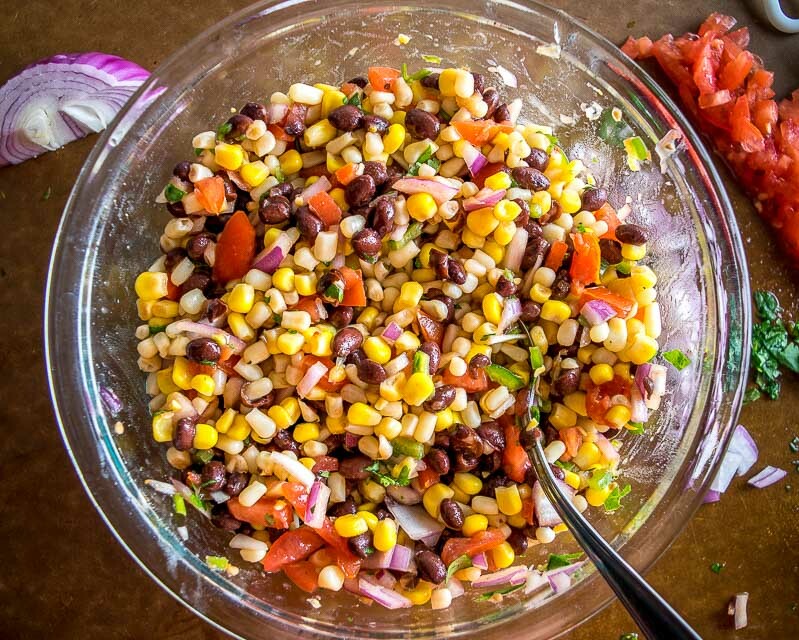 Or use them to make a fresh batch of Black Bean and Corn Salsa. 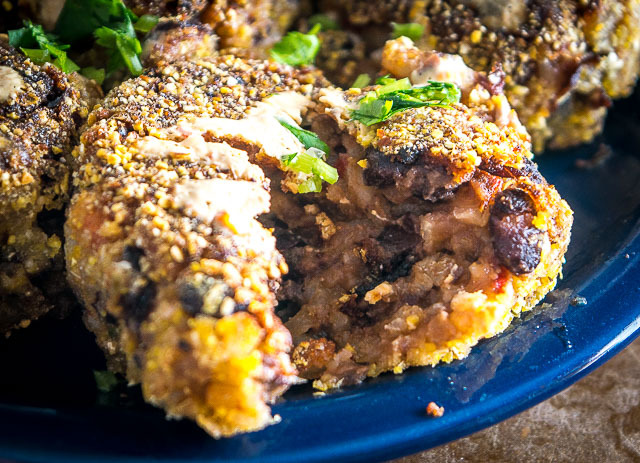 You could also use a homemade batch of beans in our Black Bean and Rice Cakes. Jeff @ Make It Like a Man! This brings back so many memories! I used to make beans back in college. They were so cheap, and there was no end to the good stuff you could make with them. I had to bribe a friend who worked at a local Mexican restaurant to tell me what they put in them. Patrick, just have to commend you on a killer website! Good, solid Mexican recipes written by a guy with a talent for entertaining the reader. I have a pot of beans on the stove right now, and I too feel “ripped off” when I see the prices of canned beans at the grocery store. Mexican Food Rocks! So does your blog…keep up the great work. Thanks much for your feedback Rob, makes it much easier to finish up the fish tacos post that I am procrastinating on today doh! I hope the beans treat you well, don’t forget to let them simmer a little longer once you add the salt as I find that this really helps. Cheers. Hi Patrick! I’m gonna’ cook this today! Believe it or not, I’m a lady of mex descent that has never gotten beans right. Your recipe seems dummy-proof, so I’ll try it. I’d like to stay away from lard, so is there anything you recommend to replace it with so I can still get good flavor? I’m also making your picadillo today to accompany the beans in a homemade burrito. So excited! Nice! That Picadillo is easily one of the most popular recipes on the site and it has great flavor — sounds like an awesome burrito. Hi Liz! If you replace the lard with a couple tablespoons of olive oil you’re still going to get a good result — just not as good as if you use lard doh! 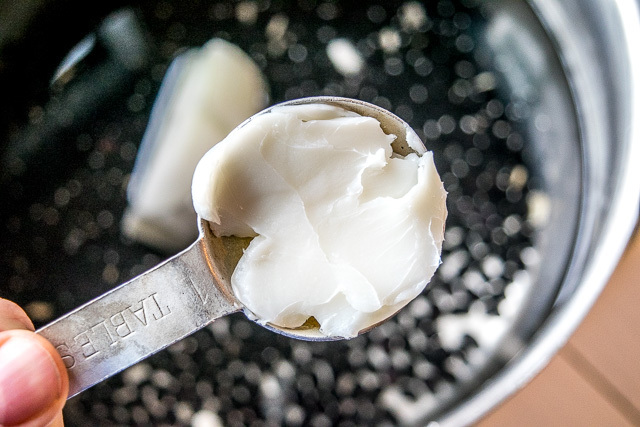 Lard has such a bad rep but if you find a good source of it (or render your own) it can be one of the cleanest fats to work with so it might be worth considering it in the future. Also don’t forget to salt to taste at the end of the beans simmer, this will make a huge difference in final flavor. Hope that helps a bit, let me know if you have any other questions. Cheers. Beans are hard to digest for a lot of people. 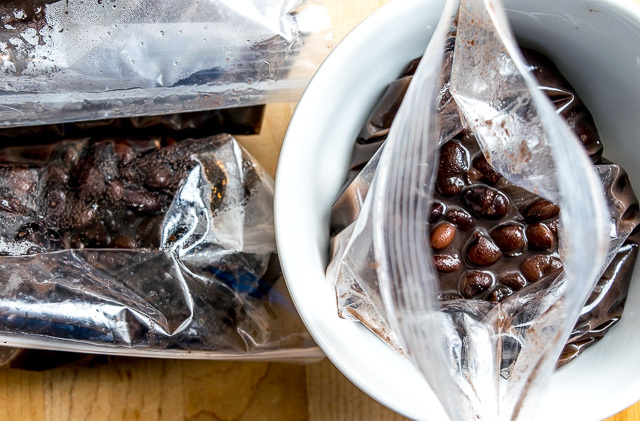 You will get less gas if you soak the beans overnight and drain that water off before starting this recipe. I’m really enjoying your wonderful, inspiring site. Thanks for this tip Millie. Cheers. I’m in the Rancho Gordo bean club and just got a shipment, so the pinto beans are my choice today! I have searched for backfat to make my own lard to no avail but did find some proper not grocery store lard and am excited to use it in the beans. I think I will be using my beans faster with your repertoire of recipe choices. Ha awesome I didn’t know they had a bean club! Yeah finding some backfat can take some digging but it’s worth it, I have the best success at butchers and specialty meat shops. Good luck!